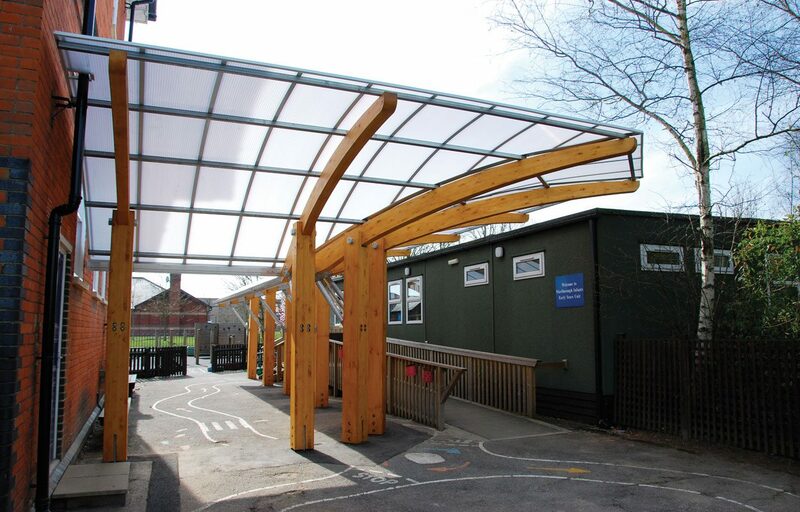 Timber cantilever playground canopy for Marlborough Infants School. 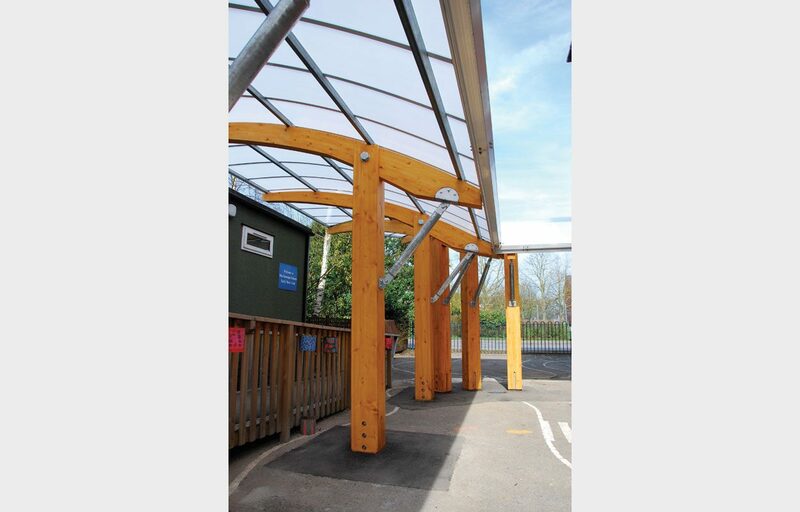 We were delighted to be asked back to Marlborough Infants School in Hampshire to design and build a second playground canopy. 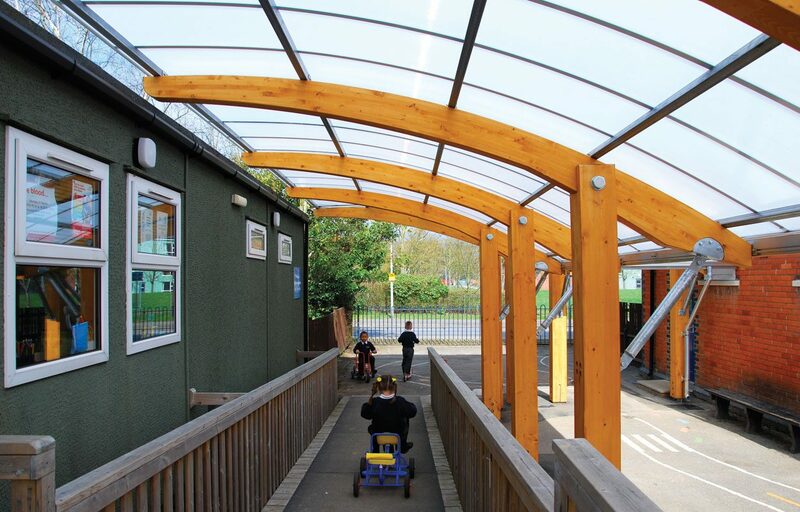 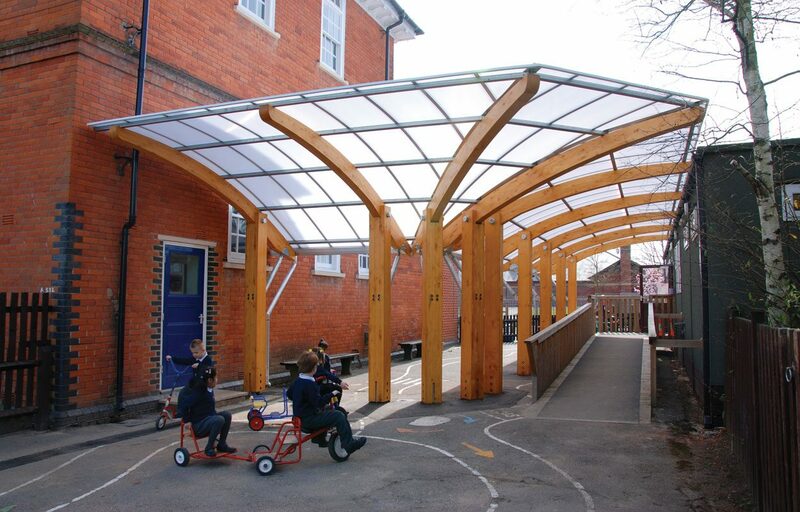 The school were looking for a curved covered walkway to keep students dry when walking between two buildings and to act as a playground shelter. 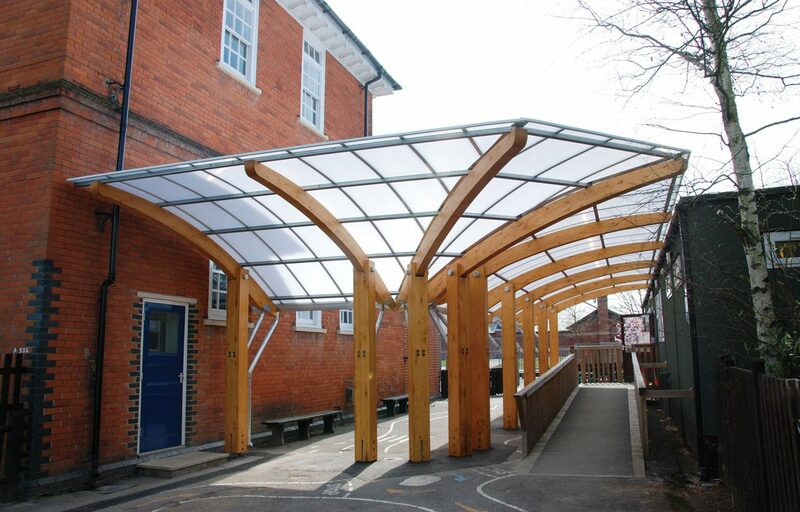 Fordingbridge had a great solution, in the form of our recently developed innovative Marlborough timber cantilever canopy. 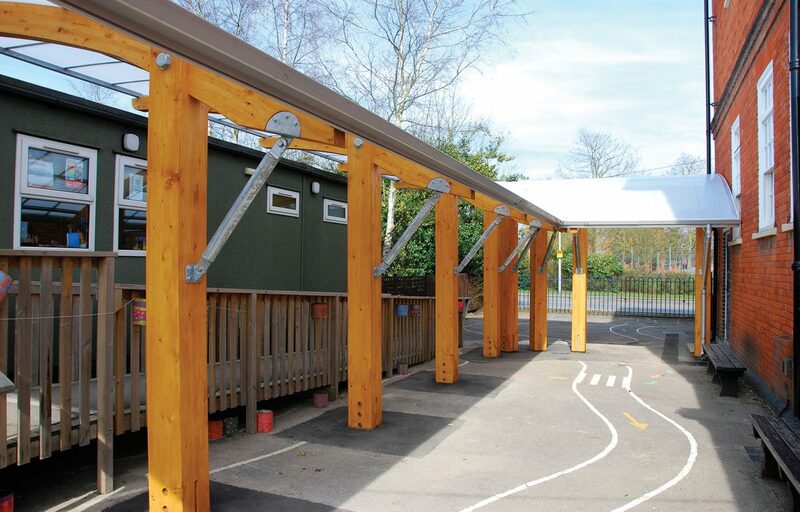 The technical team had a great solution that met both of the schools requirements. 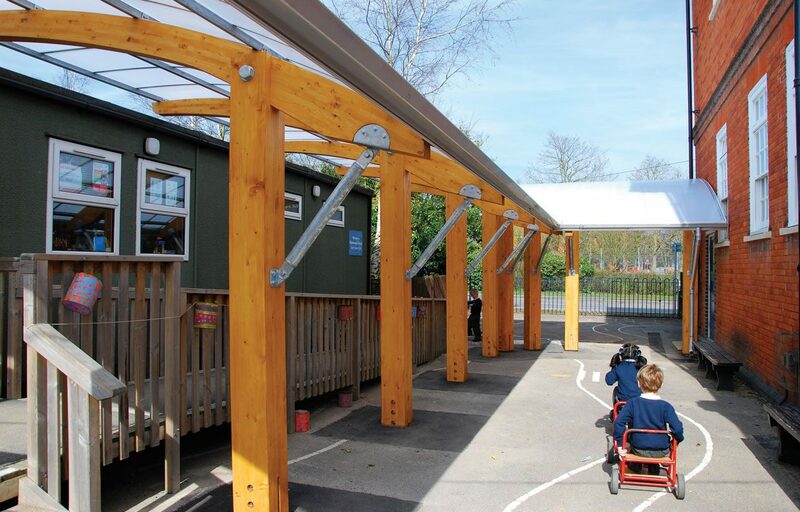 With over 50 years’ experience across the UK, our team offer a complete design and build service making your project stress free from initial conversation through to handover on site.